Bringing in the money is not the most important thing for us to do if we want to eradicate extreme poverty. Clearly that is part of the solution, but if it was the solution then there has been enough invested to make change already, and the end of poverty remains elusive. I actually think it comes down to ‘political will’. I don’t mean a sharper focus within a country or institutions like the UN or G20, although that is helpful. I actually am talking about our own actions. Where do we place our priorities and what will we no longer accept? There has been a lot written about consumer advocacy and how this might start to impact on poverty. In some respects, I would place that in the same bag as Corporate Social Responsibility- well meaning initiatives with a narrative around change, but ultimately in themselves they fail to be levers to make change happen. 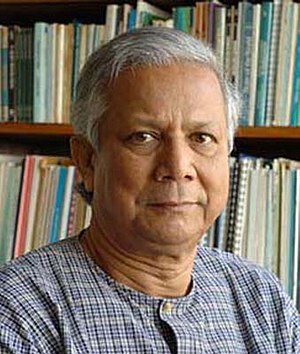 Muhammad Yunus argues this point strongly in his recent writing, and I like what he writes. There is a need for greater participation, on both incremental and radical interventions. And not just by ‘big brand’ not-for-profit NGO. Brand and trust have become confused concepts, possibly intentionally. ‘Agency’ starts to trade on a currency of brand because it brings with it high level of trust. Meaningful systemic change suffers for the sake of maintaining that brand. This is not true of every organisation, and there are some awesome thought leaders and interventions happening most of whom are working selflessly and tirelessly in unseen places because of a driving passion to help others. Has ‘brand’ gone too far? Is there still room for the maverick social entrepreneur? This entry was posted in Awareness, Dan Pallotta, Fundraising and tagged Brand, Corporate Social Responsibility, Non-profit organization. So true,what is with in a person. Life is like a candle,it is how we burn it. I found your writing with the ability to change ones thoughts. Sounds like you have an interesting story to tell. Be good to hear more from your perspective!